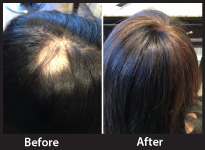 One of the many forms of female hair loss is frontal fibrosing alopecia. 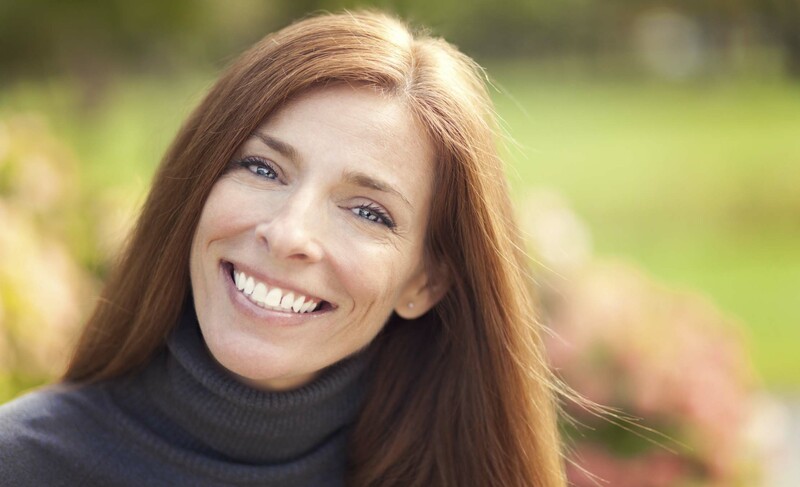 Typically impacting post-menopausal women, frontal fibrosing alopecia is characterized by a symmetrical band of hair loss along the front of the scalp, often extending down to eyebrows, leaving a few lonely hairs in the bald area. The remaining skin can vary from pale to shiny to scarred, often with redness around the visible hair follicles. While hair loss is a difficult topic for many people, frontal fibrosing alopecia is often extra difficult, due in part to the fact that it is clearly visible in the front of the scalp rather than diffuse thinning associated with female pattern baldness. It’s further complicated by the fact that the exact cause is unknown – it’s believed to be hormonal (as evidenced by its onset post menopause), but it is generally considered slowly progressive: there is no effective cure, and even treatment efficacy varies significantly. If you’re experiencing hair loss along the front edge of your scalp, or you have other reason to believe you’re effected by frontal fibrosing alopecia, contact a doctor. In some cases, a short course of oral steroids or anti-inflammatory antibiotics has shown to benefit patients. However, it’s generally believed that frontal fibrosing alopecia causes permanent damage to the follicles, and that hair regrowth is unlikely. 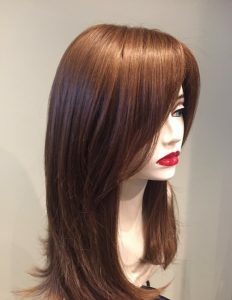 Given that the most effective treatments are only occasionally able to stop the hair loss, but not restore lost hair, many patients generally consider disguising the effect with wigs, which can restore the appearance of the natural hairline. Experienced wig providers such as Alternative Hair Solutions can assist with fitting a natural looking wig that is light and designed not to irritate the already sensitive scalp – in fact, in the case of frontal fibrosing alopecia, a top fitting piece can be fitted away from the impacted areas, allowing the hair to flow over and disguise the frontal scalp without irritating it with direct contact. For more information, or a complimentary consultation, please contact us.